Marketing education is a big part of our overall new business strategy. At Creative Agency Secrets we strive to find ways to connect with our potential clients and be a part of their marketing success whether they work with us or not. We hold complimentary marketing management and idea calls, host free marketing seminars, create appraisals for websites and so on. But what makes it all work is our ability to follow up with the people we meet and educate. It’s one of our core lead generation and client winning strategies, and it could work for your business as well. Staying connected develops relationships between you and your prospective clients or friends. This means you build up a network of people who can use your services, direct you to new clients and endorse your work. Here’s a case study of a sports equipment online retailer we manage marketing activities for called Space Saver Rowing Systems. The client was so impressed with our work that when their manufacturer started looking for marketing assistance, the client directed them to us. In another example, we worked with Zeald website designers to host a free marketing event. From that connection we gained several new clients, among them – European Auto Spares. We followed up with them individually after the event. We’ve got loads of these stories and all because we helped our contacts in their endeavours and kept up communications with them. In short, following up with people can net you leads and create a healthy flow of revenue for your business. Meeting summaries for prospective clients – summaries are quite common, usually in the form of a dreary PDF or bullet-pointed word document. Along with that, we like to include anecdotes or a friendly sentence relating to something new we learned about the prospective client from that meeting. 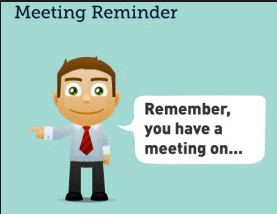 This gives those who joined the meeting more reason to read the email and even better, a reason to reply. To the right an example of a regular email following up a business meeting. Something that we love to include in these that makes all the difference, is a link to one of our helpful blog posts or free eBooks. We look for a related topic in the email, then link a keyword or two and mention it may help. For example, if the email pertains to construction an email campaign, we might link to our cold emails eBook! Newsletters – if you run a regular newsletter about your personal or company activities, invite your contacts to it. Make sure first that they’ll get something out of your blog posts and focus on explaining that to them. Newsletters don’t only inform, they help keep you and your business in the minds of others. This can make the difference between whether or not they think of you when new work arises. For an example, sign up to our newsletter list and see what you learn. Related business – categorise your past clients and business friends by business type. This lets you update contacts in different industries on related updates to your activities or information you find. To make the most of this, as soon as you form a new business relationship you should create a related industry update alert via a tool like Google Alerts. This way you’re following the industries most related to your activities and the alerts remind you that you have a connection to that industry. Then you can report any exciting news you find straight to them. Us? Well, we’ve created our subcontracted services listing for exactly this reason. It’s an activity we do whereby we list all the work we can’t do or isn’t related to our services, and those listings get picked up by other businesses with the right set of skills for the job. It’s a fairly simple information sharing activity but with huge potential impact. As a result, people loves connecting with us. Follow them – if you keep up to date with the activities of your contacts you can provide more relevant input or updates. This is another exercise making sure you keep your follow ups linked to you with context as opposed to random email drops asking them how they are. Daily tasks for this would include reading LinkedIn status updates. Weekly or monthly tasks include reading your contacts’ newsletters. One way we keep up with our industries and clients is by setting Google Alerts searching for company names. We also set an event on our Google Calendar that has a list of company websites and blogs to read up on in the description. Be diligent and consistent when you’re following up with people. Sometimes they are busy or skip emails, life gets in the way. Keep trying while not being too aggressive and you’ll grow on the minds of your clients and leads. Change up your approach to be more informative if a friendly nature doesn’t catch their eye. For example, you could direct them to tools or blog posts that will directly improve their way of business or provide them with a new opportunity. We posted up several examples of catch up emails and following leads through email that we’ve written previously to help you on your way. Many of these ways to follow up with contacts can fit into your day to day activities, especially if you’re a marketing agency like us. If you spot yourself working on something that could help out some of your business contacts, send them an email and keep up to date. But more importantly – keep your business in their minds, and leading with a positive impression. The other day we were sitting here creating a Google Form survey and thought “gee I wish we could embed some way for respondents to share this survey!”. Well, one quick Google search later and we came across Share Link Generator. 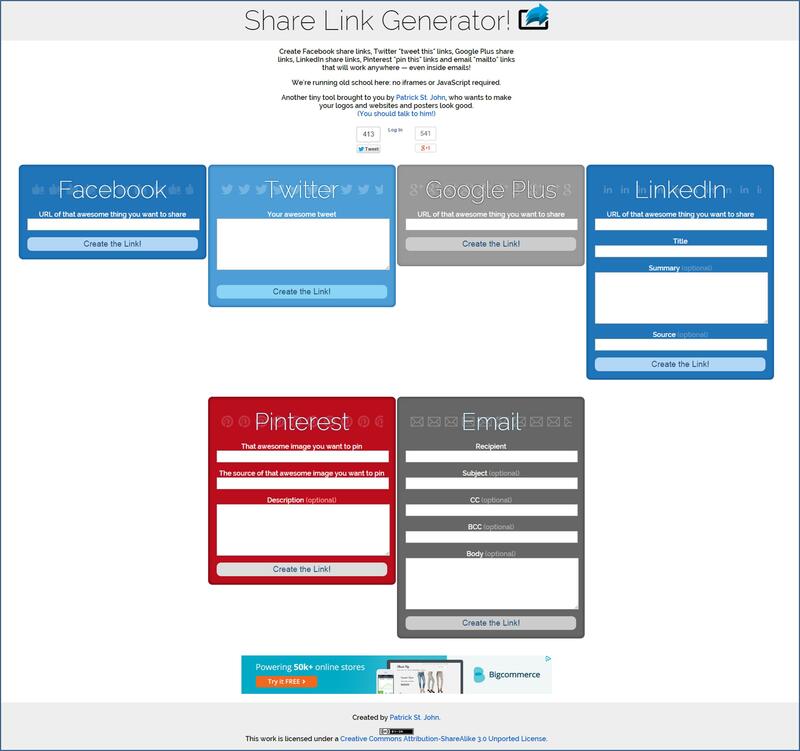 What as Share Link Generator? Quite simply, Share Link Generator is a tool that makes it easy for your audience to share whatever type of content you’re passing around. First step is for your to create some content. Once you have that, choose which social media platform(s) you’d like your content to be shared on. Then, copy a direct link to your content and paste it into your chosen social media platform(s) on Share Link Generator and click the “Create the Link!” button. From there, Share Link Generator will generate a unique URL that, when clicked, will direct the user to a web page showing a post they can confirm to send to that chosen social media platform. Yes they’ll have to be signed in but ultimately it’s a single landing page with a single call to action, and that call is just to click “POST”! The links generated are rather hideous on their own, so we choose to hyperlink (either on a picture which is most effective or simply through text) or where hyperlink options aren’t available we call them through a Goo.Gl shortened URL. We’ll keep you posted, but we think this could be a quick and easy activity to increase shares and interactions with your online content. Only time will tell! Ever thought SnapChat wasn’t suitable for brand marketing? Think again – there’s now a clever desktop dashboard which brand managers can use to drive communications through this popular channel. SnapChat doesn’t want to be called social media. Instead, they describe themselves as content editors and artists, not for clicks and shares. With SnapChat you can share and tell your friends what’s happening right in the heat of the moment using instant images or videos from your phone. These messages are timed by the user, often only lasting a few seconds before disappearing when viewed. So why is this so exciting? Because it leaves no trace online it’s catching on like wild fire! In addition, more and more businesses are finding ways to market to their users on the SnapChat platform in a non-invasive, interactive and fun way. 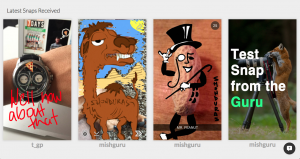 Mish Guru makes it easier for brands and companies to use SnapChat for marketing and content sharing purposes. In short, they create online company accounts and give advice for managing them, or even take the management off your hands. Their unique dashboard helps you manage SnapChat campaigns and monitor statistics that aren’t actually visible or available on the standalone SnapChat mobile platform itself. 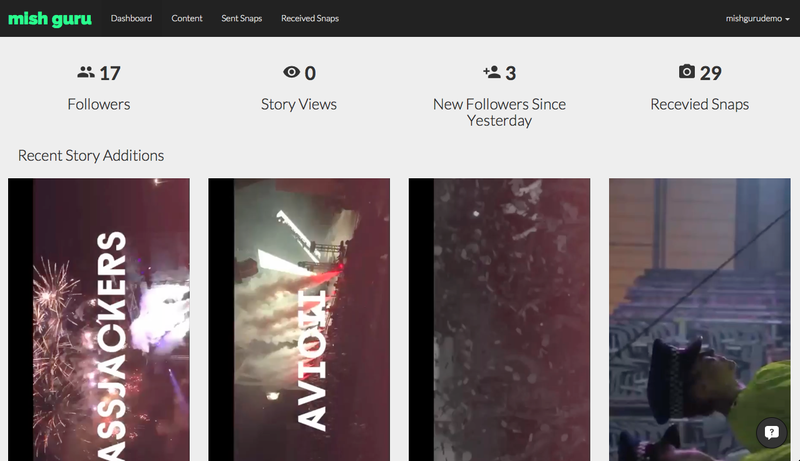 You get a single dashboard, there you can see all of your followers. Your whole team can reach all of your followers with direct Snaps. Mish Guru also does screenshots of all incoming snaps so you don’t miss any important snaps. Through the dashboard you can send out the same content to all of your followers at the same time, (you don’t need to manually click on every follower, as on todays SnapChat). Mish Guru can manage your account for you, they do all the work while getting the Snaps to your followers, you just need to tell them what kind of content you want. You can also manage the account yourself but you’re are while getting management advice from Mish Guru on how to best use their platform. When you get in touch with MishGuru – please mention you heard about them from us! So there you go – yet another marketing innovation Creative Agency Secrets has found and brought to your attention! Learn how to set business goals! In March Ochre Business Solutions will provide you with two different programs aimed to learn you more about you financial situation, both private and for your business. Ochre Business Solutions have a great vision about empowering growth and excellence by delivering knowledge and tools that will create a catalyst for change. The CMM programme will give you new skills and knowledge about how you manage your money and develop a personal financial plan. It is a 20 week programme that will learn you how to develop awareness of your current financial position and money habits and what you like to achieve financially. The programme will learn you how to set financial goals, managing debt, home ownership, property investing, kiwisaver, setting up a family trust, wills, insurances and investing into businesses or the sharemarket. The programme also gives you knowledge how to prepare you for independence or retirement and some key aspects of home ownership & property investment and key concepts relating to share markets. This programme is for you with a business or a business idea who want to have more business skills and get more knowledge to developing and managing a small business. You will learn the fundamentals of NZ business and in the end of the programme you will have a complete business plan to show for your funders/investors. You will also learn how to do your business taxes, complete a financial plan, how to do a market research, complete a marketing plan, setting up a company online, understand your employer obligations, complete an operations plan and undertaking a SWOT analysis. https://creativeagencysecrets.com/wp-content/uploads/2014/04/CAS_Logo_1line_RGB.jpg 0 0 Creative Agency Secrets Team https://creativeagencysecrets.com/wp-content/uploads/2014/04/CAS_Logo_1line_RGB.jpg Creative Agency Secrets Team2015-02-13 09:00:502015-02-12 14:46:46Learn how to set business goals! 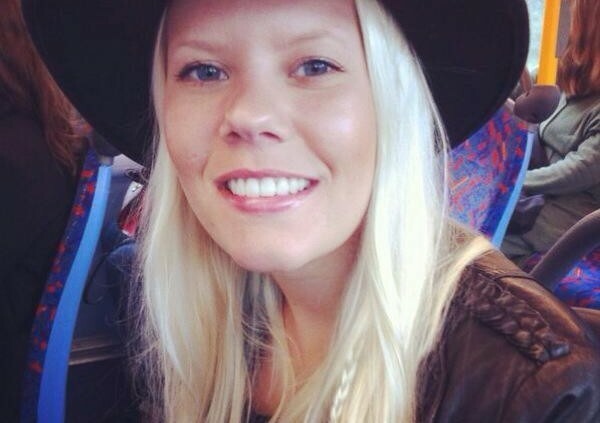 My name is Amanda Wikstrom and I´m a marketing student from Sweden. I’m here at Creative Agency Secrets for a 3 months internship which is included in my education. In May I will finish my third year of Marketing and be graduating which I´m really exited about. But first I want to learn more about marketing in real life, not just reading about it in books and I think I have come to perfect place for that. This is my second day at Creative Agency Secrets and I’m still trying to learn and understand the business, but what I have noticed so far is that creative Agency Secrets can offer you many cool tools for your business to grove and be developed within marketing. Creative Agency Secrets helps you find the best practical marketing tools for your business. They can do all of your marketing if you want or if you only need marketing advice, Creative Agency Secrets can help you with that. They also offer you training courses with coaching or self-learning. Google Analytics is one of many tools that Creative Agency Secrets use. I have just started to learn about and I find it very interesting but a little bit hard, Google Analytics can do so much and I have a lot more to learn . In my three months here I hope to learn more about how marketing work in the real life and which marketing tools are the most effective. I also like to learn more about social media, how to analysis the content and how to create interesting content that people will read and take part in. This is my first blogpost and I hope that I will learn more about how to blog and write interesting and engaging posts. I am working with a newly freelance graphic designer and am introducing her to possible clients. 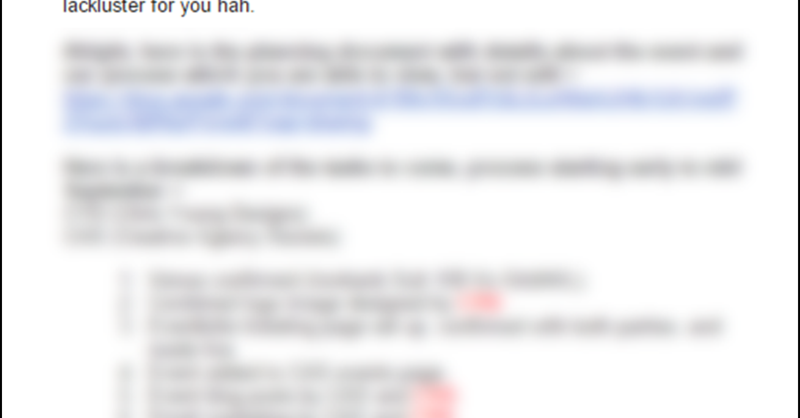 This is the email she sent to follow up on one introduction and I just had to edit the text. An introduction is the MOST favourable way of getting a new business face to face meeting. These folks won’t turn you down, generally. So what was wrong with this message? I hope this finds you well and the new year has got off to a good start for you! I wanted to get in touch with you following Rebecca’s introduction in December last year, as I am now in a position where I am able to provide brand packaging design on a freelance/contract basis. I’ve attached my CV and portfolio of work with this email. If it suits you, I’d love the opportunity to come in and introduce myself and have a chat. There would be no commitment required, just an opportunity to see if there is a fit between my skills and experience and your company. So what was wrong with that message? The first paragraph is fine. The second leads off with the right information in the right order but it uses too many words to make the point. Making it two sentences is punchier. The mention of the portfolio being very short is deliberate – don’t show everything until you have a commitment to meet. You are more impressive face to face than showing finished work. So just send a taster. Select products that align with the recipient’s likely needs. Then move onto a focus on them – talk masculine words like ‘investment’ and ‘role of design’ – philosophise a bit – you learn a lot about their attitude to good design if you can find these things out in a meeting. And that will inform your likely future work more than just showing a portfolio – discuss how design can help them achieve their business objectives. Here’s my suggestion of a re-draft of the email which may get better result outcomes. 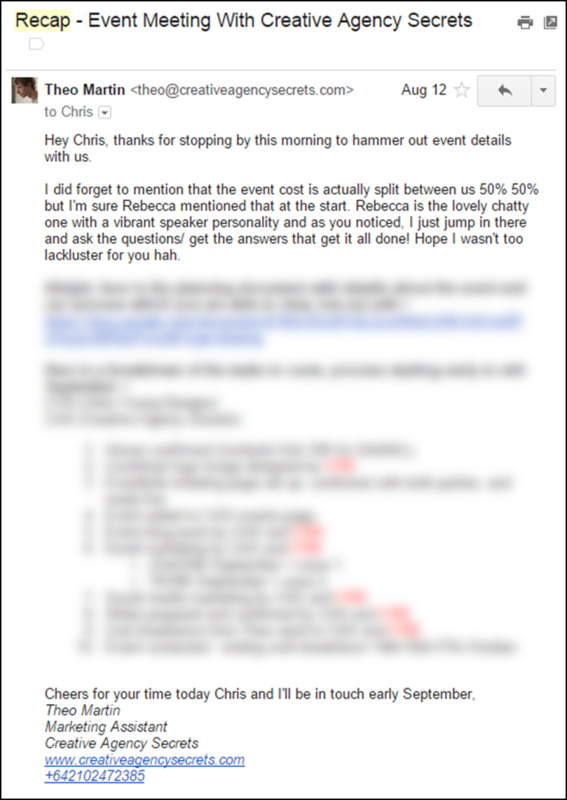 We were introduced by Rebecca in December last year, and you said I should “get in touch in the new year”. I am now providing brand packaging design on a freelance/contract basis. Understanding XYZ’s business is very important if you are to consider working with me. And so I would like to invest my time learning more about your products, markets and the role of design. Can we meet during the week of 15th February? I will call you on (name date) to discuss fixing a date and time to suit you. So, can you see what I’ve done with the text? I removed all the “maybe” and “if it suits you” and “no obligation” words. These are very cautious. You are good at your job, you will not be wasting their time meeting you. Sound and communicate your confidence that you are the best thing that’s happened to them and that you will help them achieve their business objectives. Let me know if you try both which comes out best!